﻿ SS FINALS 2016 – Chen Qingchen fulfilling that promise! SS FINALS 2016 – Chen Qingchen fulfilling that promise! 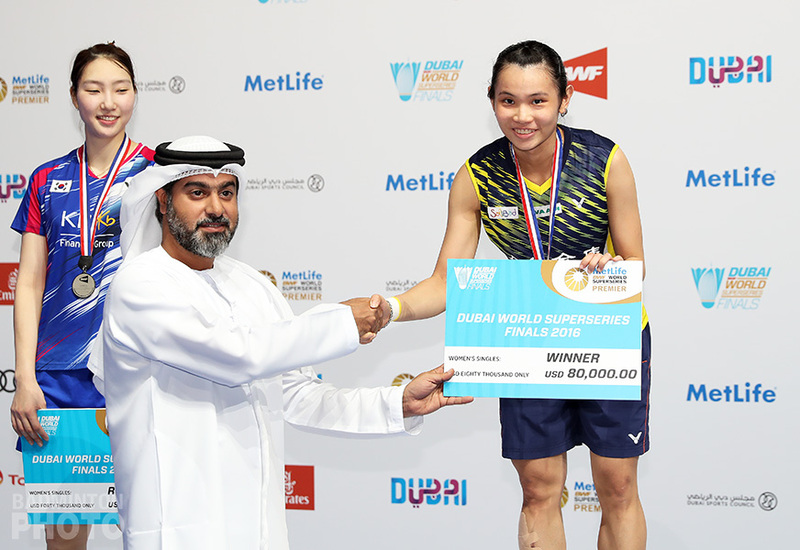 Chen Qingchen proved she is indeed the Most Promising Player as she scoops the most lucrative doubles double in history, winning two at the Superseries Finals in Dubai. 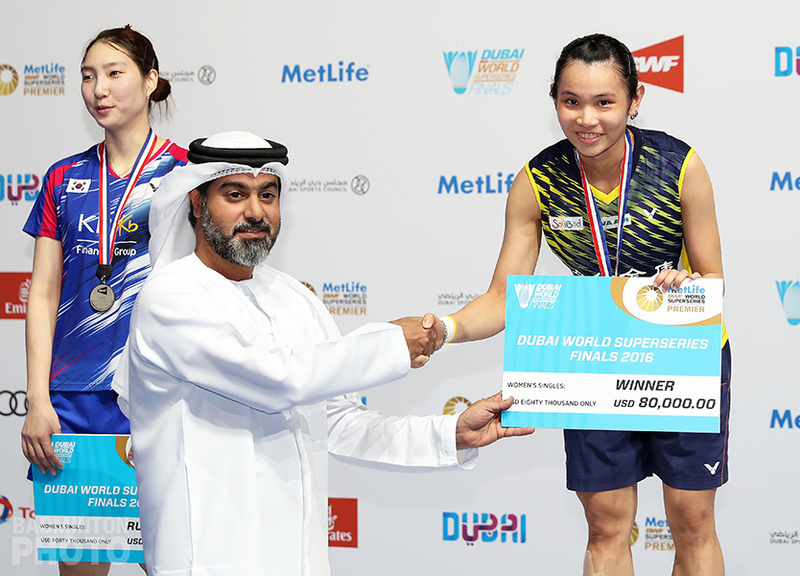 For any who thought Chen Qingchen had already fulfilled her promise before being named as the recipient of the 2016 Eddy Choong Award last week, Sunday in Dubai was perhaps evidence that she is just getting started. 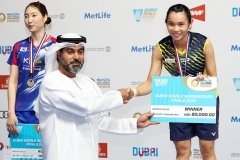 The 19-year-old looked more like a seasoned veteran than a prodigy as she hauled in not one but two titles at the Superseries Finals in her first ever appearance in Dubai. She and Zheng Siwei – last year’s Eddy Choong Most Promising Player – were even more dominant in the final than they had been the first time they beat defending champions Chris and Gabrielle Adcock this week. Not only did they win in straight games, but they allowed the English pair only a dozen points in each game. In the opening match of the day, Chen Qingchen and Jia Yifan had much more trouble beating Olympic gold medallists Misaki Matsutomo / Ayaka Takahashi. 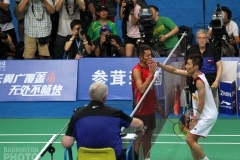 The Japanese pair dominated the second game and were constantly chasing in the decider. 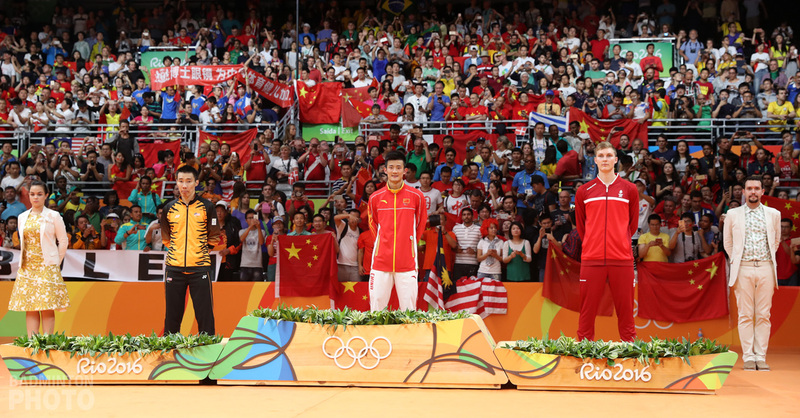 When the Japanese players lost confidence in their short serves and began to flick, the Chinese youngsters pounced on the opportunity and they never relented with the pressure until they had won it 21-17. Chen and Jia will go up two spots in the world ranking to #6 but for Chen and Zheng Siwei, their similar two-rung advance will make them the new world #1. They may be the first teenaged doubles pair this century to achieve that. 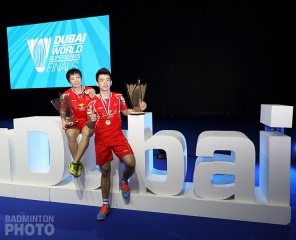 In addition, Chen Qingchen’s prize winnings of US$84,000 total are the most ever for a doubles player. 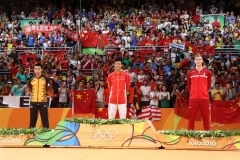 The only badminton players who have every won more in one day are Lin Dan and Wang Yihan, who pocketed $90,000 as singles champions in 2011, on the only occasion when the Korea Open offered $1.2 million in total prize money. For the first time since the Superseries Finals were first played, a Malaysian pair took the men’s doubles title. Goh V Shem and both of his Japanese opponents were all in their first ever outing at the Finals. Tan Wee Kiong was the only ‘veteran’ of the bunch but his ability to control the rallies is more about overall talent and experience than it is about his brief appearances in 2012 and 2013. The Malaysians won the first game handily but had to fight it out in a very close second. The two pairs traded net cord service returns on the last few points but it was the Malaysians who kept the advantage both times and they finished it off 21-19 to take their second Superseries title of the year. Denmark’s Viktor Axelsen was in his first Superseries final as a teenager back in 2012. Since losing that French Open title to Malaysia’s Liew Daren, he had been back five more times to collect a title and always came up just a little short. 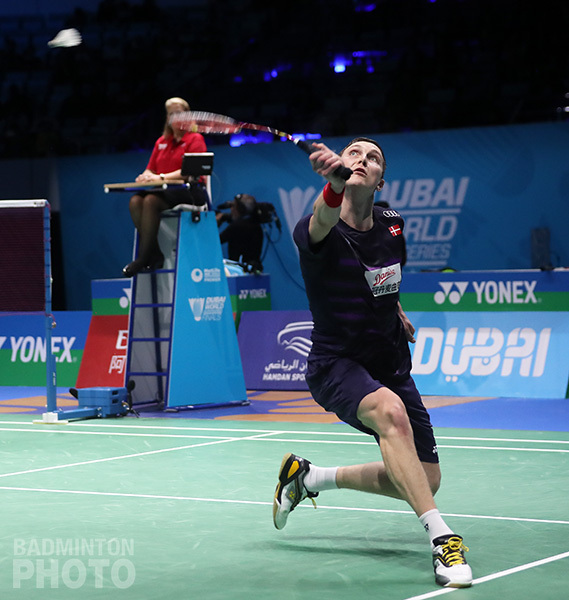 On Sunday against Tian Houwei – himself a two-time Superseries runner-up looking for a career first title – Axelsen looked extremely strong in the opening game. Tian came out firing in the second, however, and his opponent ended up giving up shortly after Tian added to his already formidable lead at the interval. 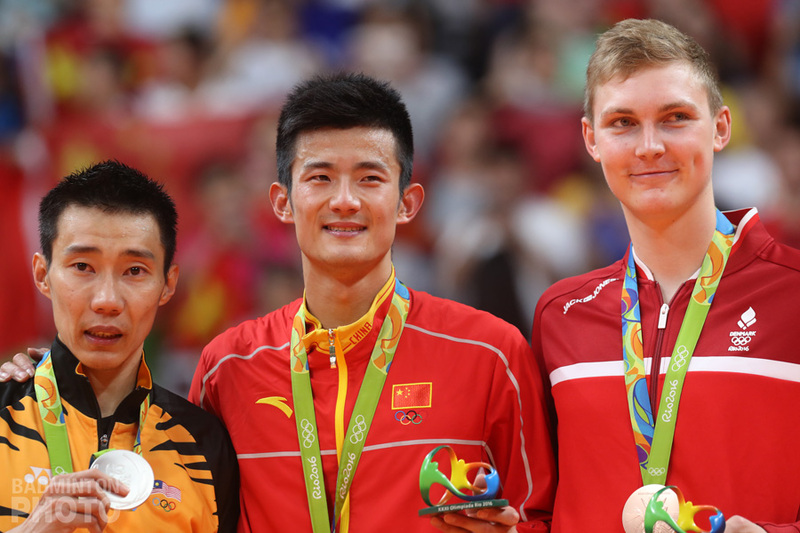 It was again Tian who looked ready to carry the second game momentum all the way as he surged to a 6-1 lead to begin the decider but Axelsen soon found success with his steep, well-placed smashes and his opponent began to get a little riled. Both players showed a lot of nerves as the match neared completion, and Axelsen was bent double after a seemingly endless rally that put him 18-16 up but he kept it going and celebrated after a commanding 7-1 run that finished the match. Axelsen will move up to a career-high #3 in the world rankings. 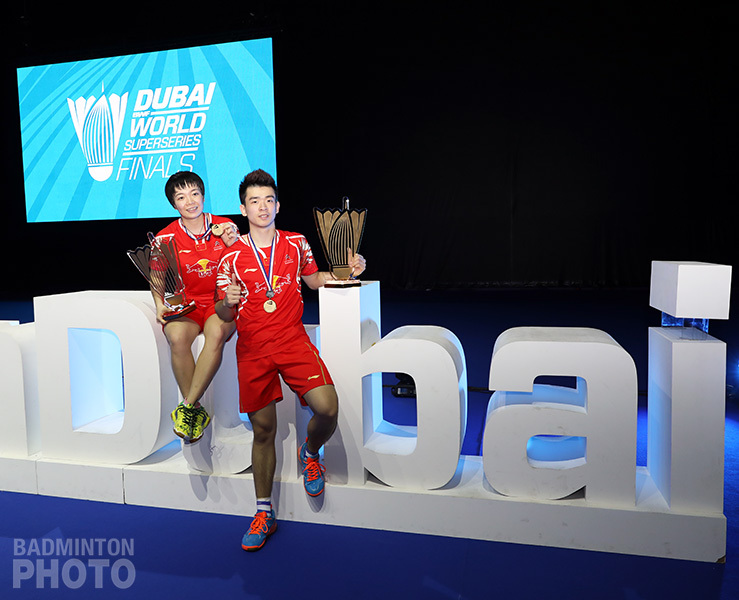 With the drop by Olympic champion Chen Long, Dubai semi-finalists Jorgensen and Son will return to their career-high rankings of #2 and #4 respectively. 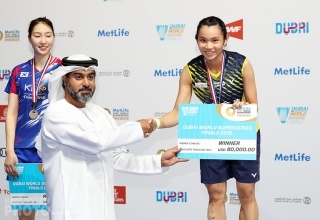 The only repeat champion on the day was Chinese Taipei’s Tai Tzu Ying. Tai was masterful as she moved Sung Ji Hyun around at will in a match that bore no resemblance to her loss to the Korean in the group stage on Friday. 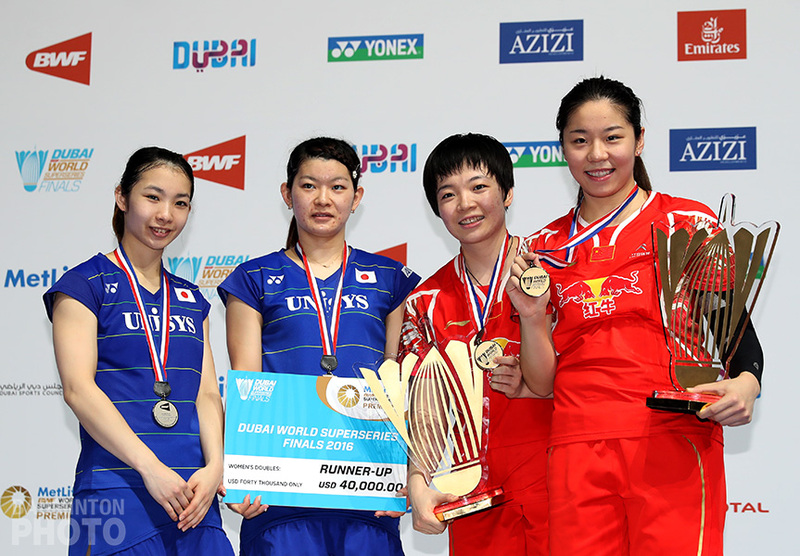 Sung Ji Hyun – who was also the runner-up the last time Tai won the title in Dubai, in 2014 – will still return to #3 in the world but she is just shy of overtaking reigning Olympic and World Champion Carolina Marin.